Bangalore Rural District Court, Karnataka. In the latest job notification, Bangalore Rural District Court announces job vacancies for various posts on a direct basis, in reference to Notification No ADM/156/2018. 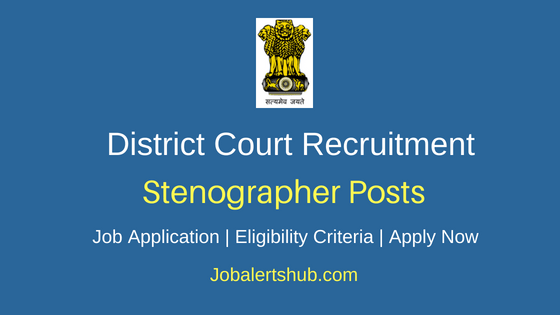 Under Bangalore Rural District Court Stenographer Recruitment 2019, candidates completed 10th/12th/Degree are required to apply. The selected candidate will be recruited with salary pay of Rs 17,000 to Rs 52,650 per month. An interested and qualified candidate has to apply through online mode by 14.03.2019. Candidate age limit should be 18 to 35 years. Should complete 10th/12th/Degree from recognized University/Institute. Candidates have to pay a fee of Rs 200 through online mode. Reserved applicants to pay a fee of Rs 100. 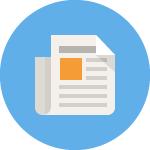 A Candidate has to logon https://districts.ecourts.gov.in/india/karnataka/bangalorerural/recruit. 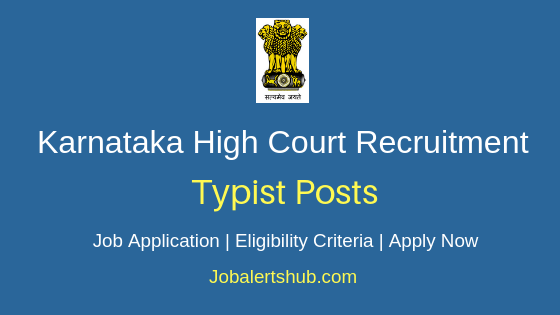 Select relevant job notification “Notification for the post of Stenographer ,Typist,Typist-Copyist,Process Server,Peons Notification No ADM/156/2018 Dated 03-01-2019”. Online application start and end date: 14.02.2019 to 14.03.2019.